Hosted VoIP is Hosted VoIP, right? Wrong. Understanding the differences in VoIP platforms can be as important as choosing your CRM or email platform. When replacing your PBX, don’t just ask for a price. Ask what platform it is, and understand the differences in VoIP platforms. Asterisk – this is one of the more commonly used, Linux-based platforms. This platform is versatile and can be used on-premise or in the cloud (hosted). It contains a wide array of features and is easily customizable. Many Asterisk companies with allow for “per path” pricing, which may be advantageous in an organization that has many handsets but low usage (i.e., schools). Many of the features are included in the license costs because the platform is open-source. This can also be a limitation – since the platform is open source, support and also scalability are limited once a provider has customized the solution and made it proprietary. Asterisk providers are generally smaller than most telecommunications companies, and may lack infrastructure, support, or financial backing to ultimately compete against larger providers. ShoreTel Sky – in 2012, premise-based PBX maker ShoreTel purchased M5 to add a hosted component to their already well-establish CPE solution. 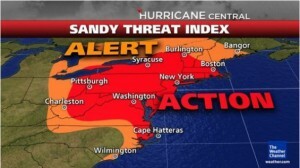 Since that time, it (along with many others) experienced a horrific outage during Hurricane Sandy. Hurricane Sandy wreaked havoc among service providers and exposed those with poor infrastructure. ShoreTel premise-based PBXs have a great reputation among users, but the hosted offering really has yet to take off. The challenges have included lack of corporate support for ShoreTel’s Value Added Resellers (VARs), high pricing, and lack of a truly seamless UC/softphone product. ShoreTel does have a loyal customer base, and those with existing ShoreTel PBXs may be able to scale remote offices and workers by integrating Sky with their premise-based PBX in the not too distant future. Cisco – a widely recognized name in the world of routing and networks, Cisco has yet to make a big splash in the world of hosted VoIP. The reasons for this are that Cisco lacks integration with many popular applications. Cisco’s hardware tends to be higher-priced than that of some other competitors who offer better functionality. This Bay Area company has built a strong brand name and can charge more. Some hosted VoIP providers that use the Cisco platform will claim that they use a proprietary platform. One way to find out is to ask what types of handsets are used. If Cisco is the only brand, chances are that it’s a Cisco platform as well. Lync/Skype for Business – Microsoft’s recently rebranded foray into Unified Communications offers some nice features and easy integration with Microsoft products like Exchange and Active Directory. It will have a new look in Microsoft’s Office 2016, set to be released in the fall. But relying on Lync as your PBX is a risky proposition for any business that needs true PBX functionality like Automatic Call Distribution (ACD), call reporting, administrative hierarchy, etc. These types of hosted VoIP platforms also provide carrier-switching functionality at the same time and with the same server clusters that host the PBX functionality. This offers inherent disaster recovery and scalability advantages. In addition, having one provider for these 2 essential communication services eliminates single points of failure and potential finger-pointing. Metaswitch – This platform was initially created primarily for SIP trunking. It offers basic PBX functionality that may be adequate for many businesses. The platform is scalable but is limited by a lack of market share and engineering support. 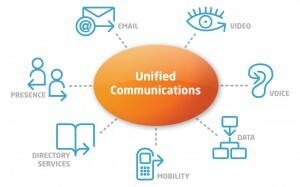 It also lacks a comprehensive Unified Communications solution, which is a direction that many other platforms have adopted to meet consumer demand. Broadsoft – This is the gold standard of hosted VoIP. There are 2 reasons behind that statement: 1) it is a class 5 switch and hosted PBX platform in one, and 2) its market share is tremendous. It is used in 15 of the top 25 global carriers, including Verizon, Comcast, Orange, and Telefonica. Broadsoft employs hundreds of engineers who not only support the platform, but also constantly develop new features. This creates a constant technology refresh, so customers can take advantage of a system that is never out of date. There is also a legion of 3rd party developers who work with Broadsoft to provide integrations with commonly used business applications, like Salesforce.com, ACT, and CTI. It boasts tremendous features, scalability and disaster recovery capabilities. That being said, it is not the right solution for every organization due to its per-user pricing model. For more information on the differences in VoIP platforms, or how hosted services can help your business, contact us.